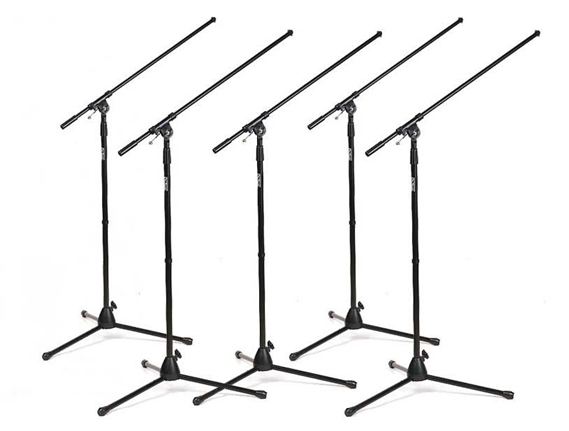 Shop On Stage Stands 7701B Tripod Boom Microphone Stand from AMS with 0% Interest Payment Plans and Free Shipping. 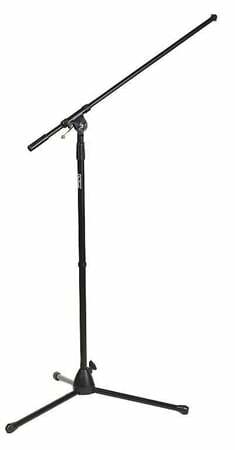 The On Stage 7701B Microphone Stand is a durable tripod mic stand and boom combination and just about the best value we've ever offered. These stands use the highest quality components. The legs fold down for the most compact storage. Setup height is adjustable from 36 to 63 inches. On Stage's best selling stand! This Euro Boom boasts hybrid sheet metal and high-impact plastic leg housing making it unbreakable. 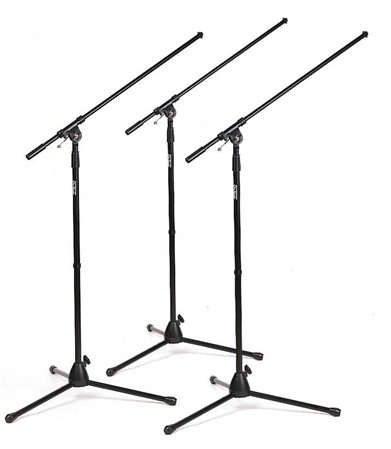 A removable boom arm and its ability to fold flat make this stand a must for every member of the band. Also features a cast steel mid-point clutch. Long 30 inch boom with molded plastic counterweight. Great for non-touring applications. Length and size are compact yet versatile for studio or other permanent locations (small stages, churches, etc) where it doesn't have to be built like a tank. I was extremely pleased when I received this stand. Was built better than I hoped or expected. A well made quality product. A sure good deal you can count on! Sturdy and well built mic stand! Great product at a very low cost, 2 thumbs up ! liked it very much! was easy to assembl and fit my needs well! This stand is extactly what i needed!! 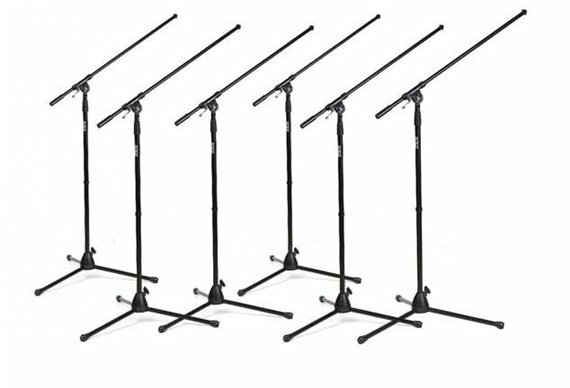 Good multitask mic stand and very flexible and sturdy!